Probably like me, and wants to keep the ‘salary and bills’ account separate from ‘discretionary spending’. Two accounts that way, one advantage is you can’t accidentally spend money that you meant to keep back for bills, for example. 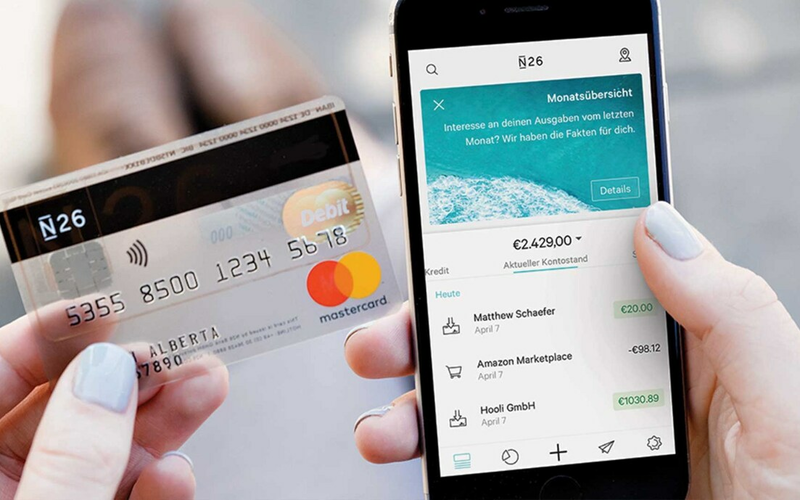 Digital bank N26 has been ordered to improve its fraud response times after a customer complained that €80,000 (£68,000) was stolen from their account. I worry that stories like this, and those about Revolut, might drag down all the fintechs - whether or not they’re actually true. whether or not they’re actually true or not. Well, I obviously can’t comment on the fraudulent stuff, but I have been incredibly underwhelmed with N26 as a whole. Perhaps it was the lofty expectations, or that they’d been successful (to my knowledge), throughout Europe… But their UK roll out has been Micky Mouse stuff. After their “hard search” debacle, I asked for my email/in app chats to be sent to me via email. They then said they’d sort something out - This was back in January. So yeah, if others had the same experience with N26 (or Revolut), I imagine the overwhelming feeling would be “Glad I stuck with high street bank X, and didn’t move over to a FinTech properly…”. Surely Monzo is scared that the likes of N26 and Revolut are damaging the brand image of FinTech’s as a whole? I tested the waters with N26 and the BACS hit the account at 12am. I transferred it out again and won’t be using it until I’m confident. They don’t fill me with confidence. They don’t have saved payees and SO yet but their is just something that doesn’t feel right it’s a shame because their Euro offering is a lot better but I suppose we got to be patient. N26 sent me an email, addressed to someone else, about their account being shut down. I had an account with them when I lived in Ireland and was singing their praises, but I’m closing my UK account with them now. The total lack of communication when they had issues with cards not working a couple of months back, along with other issues I’ve had, means I just can’t trust them with my money. Yeah. I’ve replied to them about it asking for an explanation but have not had a reply yet in over a week. I really should just close the account - I don’t use it and it’s really not very good but I don’t know why I’m hesitant to do that. Another issue I’ve got with N26, debit card refunds, quietly go back onto the account. No notification, nothing, just adds to the balance like the transaction never happened 5-10 days later. I’ve noticed Monzo add the refunds normally same day or next few days at most with a notification.